The sleepy little mountain town of Paradise, Colorado, population 450, receives a wake-up call to action in the opening pages of Ted Dekker's latest thriller. A stranger with a black broad-brimmed hat, dark trenchcoat, white shirt and bizarre face walks into town. A young boy, Johnny Drake, and an old mute man, Cecil Marshal, are sitting together watching. The stranger, Marsuvees Black, suddenly takes Cecil's eyes and pops them into his own eyes. The unusual action definitely makes an impression on young Johnny Drake. Black declares to the town that he's a preacher who has arrived to proclaim hope and grace. With a "healing," Black gets the attention of everyone in town and soon casts them under his spell --- everyone that is except Johnny. Besides the activity in Paradise, SHOWDOWN also turns to a nearby monastery where 36 young students live and study. Known as Project Showdown, twelve overseers or monks teach these gifted children 21 different disciplines. In the writing class, they have four simple rules: write to discover, there is no greater discovery than love, all love comes from the Creator, and write what you will. The overseers have created a social experiment that is about to crumble. Underneath the monastery is a forbidden series of tunnels. One of the students, Billy, has ventured into these tunnels and discovered some ancient books. 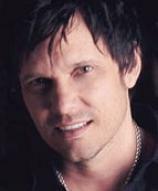 When he writes into the blank pages of these books, Billy's words become reality in the lives of people in Paradise. Eventually the reader learns that Marsuvees Black is a character created and controlled from Billy's writings. In an instant, through these ancient books and the student writers, the two threads of the plot are woven into a single story. Gradually Billy woos the majority of the other students into these tunnels to write words that become real. Opposing Billy is another one of his peer students, Samuel Abraham. Samuel is the son of the Project director, David Abraham. Through many twists and turns, eventually the stage is set for a showdown between Billy and Samuel, which clearly pits good against evil. Ted Dekker has created a masterful plot that stirs the imagination and motivates the reader to become lost in the battle between good and evil. Well-drawn characters and realistic dialogue are a hallmark of this suspense novel. The short chapters move the action to a breathtaking pace. 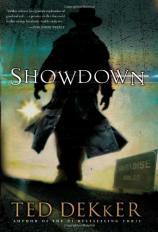 I've read a number of Dekker's other books, and SHOWDOWN is one of his best to date. Whether or not you're familiar with Dekker's body of work, this title will be a excellent read.